A big hit in the 2015 and 2017 Rye Arts Festivals, this band of talented musicians provides a perfect backdrop for the often dark songs of front man Gareth McGahan. 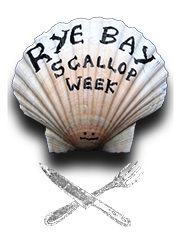 At their last Rye appearance they far sold more CDs than any other act we have booked. Their musical style takes its influences from folk, blues, Americana and other genres. But the music is good time and, for the main part, up-tempo! The Mountain Firework Company is an acoustic 5 piece band. They came together over heartache and wine to create what has been described as “gorgeous folk/alt country pop, with equal parts darkness and cheeky humour ” and “alternative bluegrass with a dark treacle folk centre”. 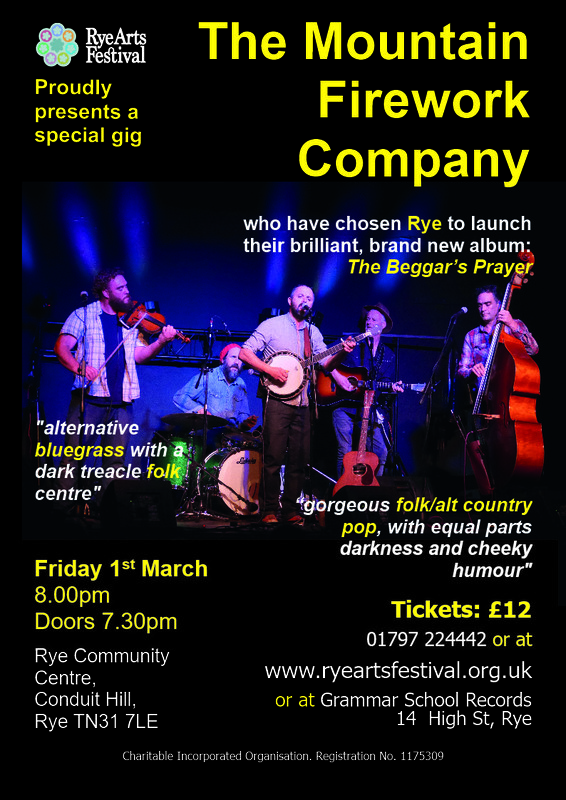 And they love Rye and the Rye audience – so much so, they have chosen the town to luanch their brand new album “The Beggar’s Prayer”.